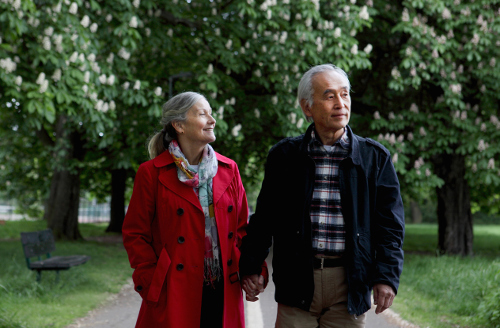 Could Walking Ease Your Peripheral Artery Disease PAD Symptoms? Home » Health » Could Walking Ease Your Peripheral Artery Disease (PAD) Symptoms? Anyone who has felt their leg or arm “fall asleep” understands the discomfort of that tingling, pins and needles sensation that takes a while to go away. However, there are people who have more severe numbness, tingling, and weakness in their limbs—especially in their legs. One of the common diagnoses for people experiencing chronic pain, fatigue, burning, and discomfort in their feet, calves, or thighs while moving is peripheral artery disease (PAD). Is there something you can do to get some relief? Well, I would like to share some valuable information about a simple daily activity you can do at home that may help relieve some of the discomfort you are experiencing: walking. But first, let’s examine PAD in detail. PAD is a condition of the blood vessels that causes narrowing and hardening of the arteries that send blood for the legs and feet. This narrowing pathway leads to decreased blood flow and can injure nerves and other tissues. When fatty material, or plaque, builds up on the walls of your arteries, this narrows that pathway of blood flow and prevents the walls of the arteries from widening to allow more flow when needed. When muscles work harder to perform movements like exercises or walking, the legs cannot get enough blood and oxygen, which causes the pain and discomfort. As you know, I believe in preventative methods for healing, so if you have a history of abnormal cholesterol, diabetes, heart disease, high blood pressure, kidney disease, smoking, or stroke, you should consider making preventative lifestyle changes, such as a diet and exercise, since you likely have a higher risk of PAD. But, science also suggests that the low-impact activity of walking could be highly effective for treating PAD. According to a study published in the Journal of the American Health Association, a home-based walking program can help lessen the long-term symptoms of PAD. They looked into this method because the typical supervised exercise used in the past requires many visits to cardiac rehabilitation centers or exercise facilities, which might not be covered by medical insurance. Balancing gentle walking with rest can help improve your circulation in addition to medications prescribed by your doctor. This is the most non-invasive treatment for PAD. And by alternating walking and rest, you can build up the length of time you can walk before experiencing pain. A couple of my aging relatives experience pain after walking or moving for a while, and this simple tip has helped them achieve greater mobility and reduced pain overall. I, personally, have begun walking every morning and evening as part of my daily routine. I aim to push myself with the number of steps I walk and strive to meet those goals. Walking does not have to be a burdensome obligation; walking with your friend, taking your dog for a walk, or simply getting up every 20 minutes to roam around your home or office can provide many benefits to your health, including relief from leg pain. Take some time each day for light walking, and give yourself some patience to see the long-term benefits of this effective activity. In the meantime, if you do think you might have PAD, get checked out by your family doctor. “Peripheral artery disease (PAD),” Mayo Clinic, December 24, 2015; http://www.mayoclinic.org/diseases-conditions/peripheral-artery-disease/symptoms-causes/dxc-20167421, last accessed May 11, 2017.